Hot air ballooning in the Sibillini! Up, up and away near San Ginesio, Le Marche. During a recent Wednesday morning shift at the Information Point in Amandola, I had an enquiry for hot air ballooning. My immediate thought, but fortunately kept to myself, was "I seriously doubt it"!! Within two phone calls, I had discovered that there IS hot air ballooning in the Sibillini and I had spoken to Simone of ballon.it. Ballon.it is a team of 6 pilots with many hours of experience, who have participated in national and international competitions. Their national instructor has crossed the Alps in a solitary flight of 250 km in 4 hours. For several years they have done tourist flights in hot air balloon in central Italy from different take off areas including San Ginesio and other areas near the Sibillini National Park in Le Marche. 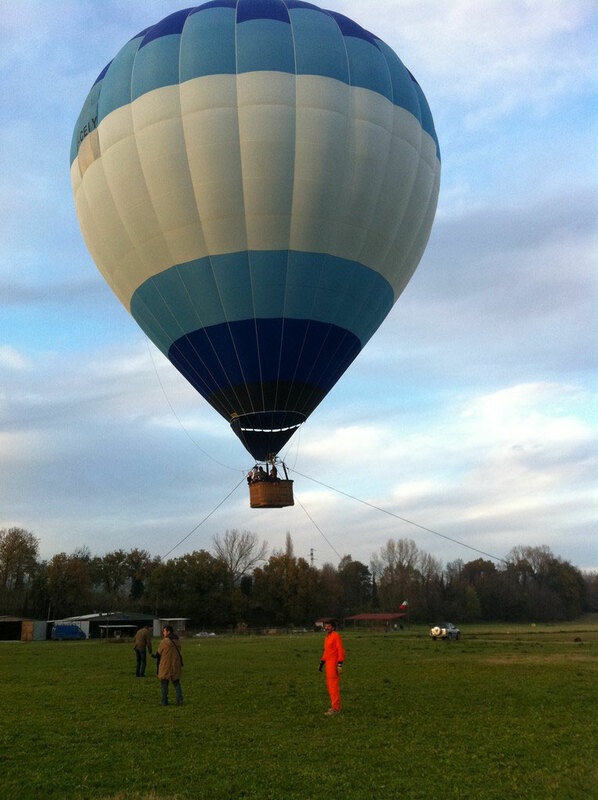 They have balloons for different needs, from a minimum capacity of 2 passengers to a maximum of 12. Simone told me that it's best to go up early in the morning although they will do late afternoons if the clients have a strong preference. For more information or to book a flight, have a look at www.ballon.it.